Julia Louis-Dreyfus and ‘Veep’ Are Back! Pacific Palisades’ favorite politician, Julia Louis-Dreyfus, is back with her final season of Veep. The force — political and otherwise — that is Selina Meyer is about to return. 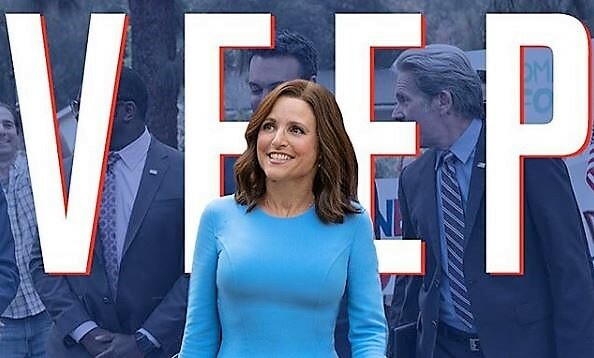 “Veep” starts its seventh and final season March 31 on HBO, starring Palisadian and comic force Julia Louis-Dreyfus as Meyer. Not quite two years will have passed since the end of season six in June 2017 and the delayed start of season seven. That, of course, is because Louis-Dreyfus was battling breast cancer. In fall of 2017 — the day after winning her sixth acting Emmy for “Veep,” which is a record for playing the same character, Louis-Dreyfus announced she had breast cancer. January 2018 her two young adult sons posted a video to celebrate the end of chemotherapy treatments. They wildly lip-synched to Michael Jackson’s “Beat It,” giving two meanings to the song’s title: scram and destroy it. Julia Louis-Dreyfus has won six Emmys for her portrayal of Selina Meyer. She isn’t revealing much about the end of the series. Filming the final episode of “Veep” was an emotional stew for our star. Not for anything Selina may have been going through. In so many words, Louis-Dreyfus says the cast and crew of “Veep” have become family. So says the actress who had a nine-season run on one of the most popular TV comedies of all time, “Seinfeld,” proving lightning can strike more than once. Fans of ‘Veep’ have been waiting for Julia’s return to the series after battling breast cancer.